The NHL will release its long-awaited list of the top 100 players of all-time tomorrow night as part of the all-star weekend festivities in Los Angeles. It’s a neat concept, and it’s already inspired plenty of debate and discussion among fans. But it’s also just a little bit of a copout. The league isn’t actually ranking the players; they’re just giving us a list. 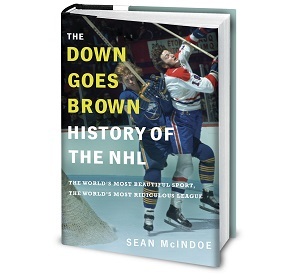 It seems like if you’re going to go to the trouble of narrowing down NHL history to its very best 100 players, you might as well go all the way and count them down. So a few of us decided to do just that. 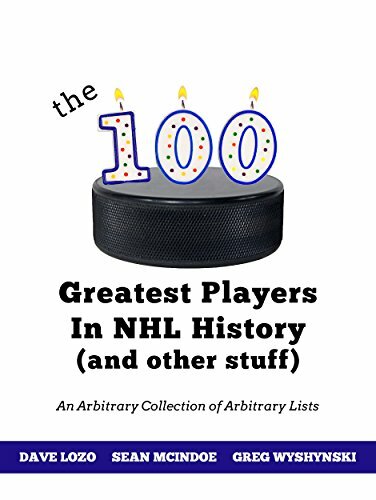 Working with Vice’s Dave Lozo and Yahoo’s Greg Wyshynski, I recently released an e-book that features our own picks for the best 100 players the NHL has ever seen, listed in order. And after weeks of ranking, debating, re-ranking and more debating, we ended up with a list that looked very different from how I assumed it would going in. The whole thing was a lot of fun. It was also educational. Here are eight things I learned while trying to rank the NHL’s top 100 players of all-time. 1. It's a lot harder than it sounds. Let's just say I can understand why the NHL shied away from doing a full ranking. When I first heard that they were just doing one big list, I figured it was because the league didn't want to anger any legendary players (or their fans). That’s probably true. But it's also possible that the league realized that sorting through the best of the best is tough enough; actually figuring out who should slot in where can get downright onerous. We were eventually able to settle on a list we were happy with for the book. Then again, we don't have to deal with team owners calling us up at league headquarters to yell about their guy coming at No. 21 instead of No. 20. Having been through the process, I can see why the league may have given the whole concept a pass. 2. You'll be surprised at some of the names that don't make it. From a distance, "top 100" feels like a vague concept. You know that anyone who makes the list will have to be really good, so you brain starts coming up with names that fit that description. Chances are, you hone in on some of the top players from your favorite team's history. And you figure that most of them will probably make the list. Don't be so sure. While 100 players may seem like a lot, we're also dealing with 100 years of history here, and the list fills up quickly. Remember, there are 271 players who've been honoured with induction in the Hockey Hall of Fame; we've only got 100 spots to work with on a list that includes active players and guys that aren't eligible yet. For our version, we ended up having to leave out more than a few Hall of Famers who seemed like no-brainers. I'm a Maple Leafs fan, and I went in assuming that Doug Gilmour and Mats Sundin would make the cut. Neither did. Maybe one or both guys will make the NHL's official version; as a fan, I hope they do. But if so, it will be at the expense of some other deserving candidates. The league has already released the first 33 names, featuring players who starred before 1967, and they've already been hammered for it. And that's for players most of today's fans never saw with their own eyes. Wait until the rest of the list comes out, and some of the guys you grew up idolizing aren't on it.